We found two nice fillies last week at the Newmarket Horses in Training sale: Surrey Storm and Satwa Sunrise. The meteorological alliteration was completely by accident. Surrey Storm is a two-year-old daughter of Montjeu out of a Listed-winning Dansili mare. She is a first foal and very small, but she’s a scrappy sort and has placed twice in four starts. She has an excellent paper and she should make a very interesting addition to our team. Satwa Sunrise is a four-year-old daughter of Meshaheer and a Polish Precedent mare. She is a half-sister to Listed winner Mary’s Precedent and has placed twice on the all-weather track, so she’ll be perfect for Deauville and Cagnes this winter. She is eligible for French owner’s premiums, and a half-share is available. The sales were the usual exhausting work, but it is fun at the same time to see our Newmarket friends and get a change of scenery. And it’s always amazing to see the facilities that Godolphin has going – they own most of the town, it seems, and spare no expense on anything a horse might need. Seawalkers, spas, hyperbaric chambers, swimming pools…it’s all wonderful stuff, but at the end of the day a good horse will succeed without it, and it won’t make a mediocre horse better. Good food, a good routine and letting them have an afternoon nap works, too. At least that’s what the rest of us do. I came back from Newmarket on Saturday with three new additions to the yard: Fortunateencounter (Fortunate Encounter, for those of you who weren’t able to make the split), a three-year-old French-bred Muthathir filly; Magical Flower, a three-year-old Oasis Dream filly with solid form, and a still-unnamed two-year-old Majestic Missile filly who we hope will soon be called Original Cyn. 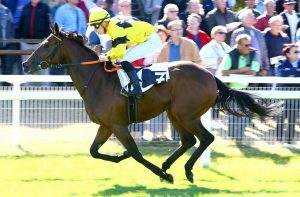 The three-year-olds should be ready to go for the Deauville season in August. The two-year-old will take a bit more time, but should definitely run this fall. All three arrived Sunday morning early, just as we sent Comment Dit down to Vittel, where she won. Runaway Sparkle traveled north to Le Touquet, where she finished third. Hold That Emperor was in much tougher company today in Chantilly, where he could only manage 6th. We’ll look for something easier for him out in the country next. Next out will be Strictly Rhythm on Thursday, where she will again tackle the Tierce handicap, this time at Longchamp. It is an evening meeting, which also features the Group 1 Grand Prix de Paris, a big garden party and after-race fireworks, so it should be a fun night all around. With the new horses from Newmarket, there should be a busy summer ahead for the yard. Two places are available for the Gallop France Racing Club. 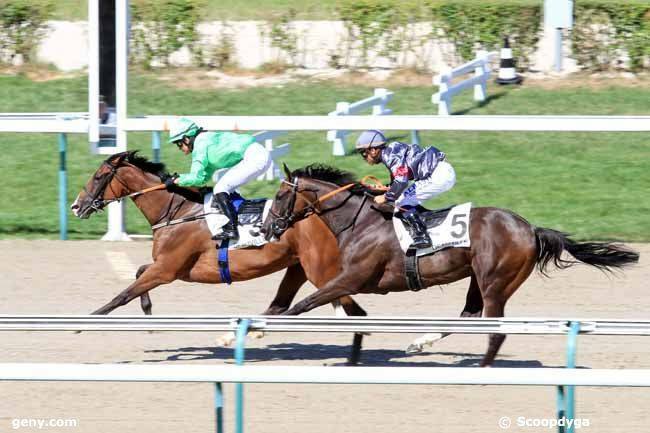 The Gallop France Racing Club offers a new opportunity to diversify your portfolio of thoroughbreds racing in France. By grouping the ownership of four horses, ready to run, you can get in on the racing action from the beginning, spread out the cost of ownership and increase your opportunities to be first to the winning post. 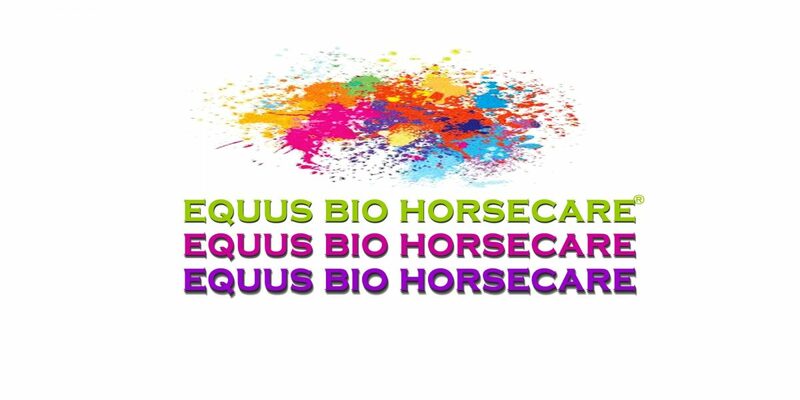 Each owner maintains a partial ownership of each of the four horses as well as seeing your colors on one of the individual horses! Full details for the club can be found here. or race as a group with your friends? 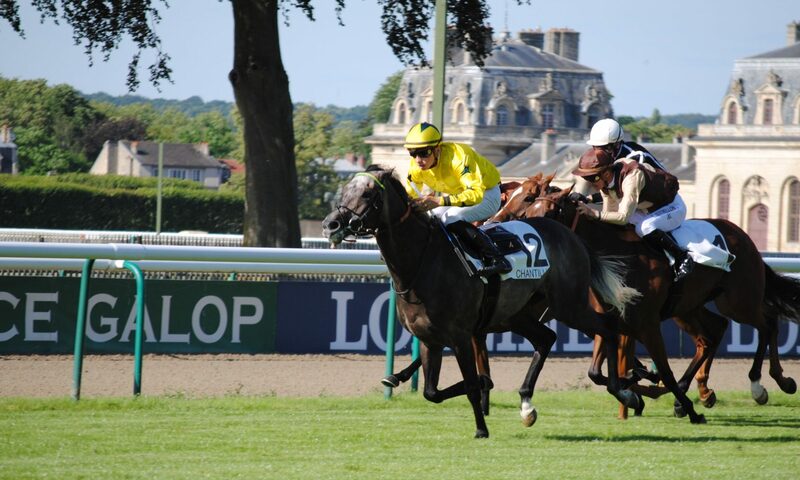 If you are interested in becoming a racehorse owner in France, contact us. We’ll help you get started in the lucrative world of French thoroughbred racing. And with the summer season soon upon us, you can enjoy the wonderful racing meetings at Vichy in July or Deauville in August. We are available to discuss your options. Gina will help you choose the right horse for you whether it be in claiming races or the Tattersalls Horses in Training Sales. We can also help you and your friends organize a partnership, making ownership more affordable for you.